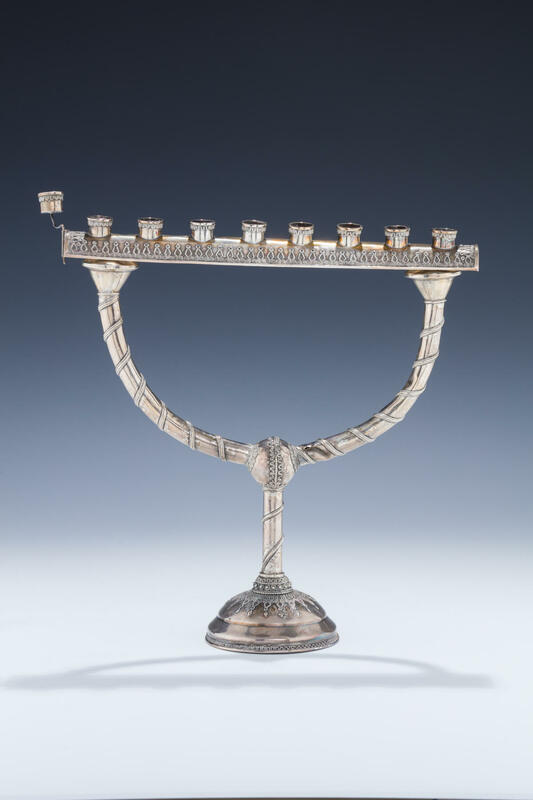 A STERLING SILVER CHANUKAH LAMP CANDELABRA COMBINATION BY BEZALEL. Israel, c.1950. On round base. Decorated with applied wirework and ropework. Upper menorah portion removes to allow use as Sabbath lamp. Marked. Two dents. 9.25” tall.